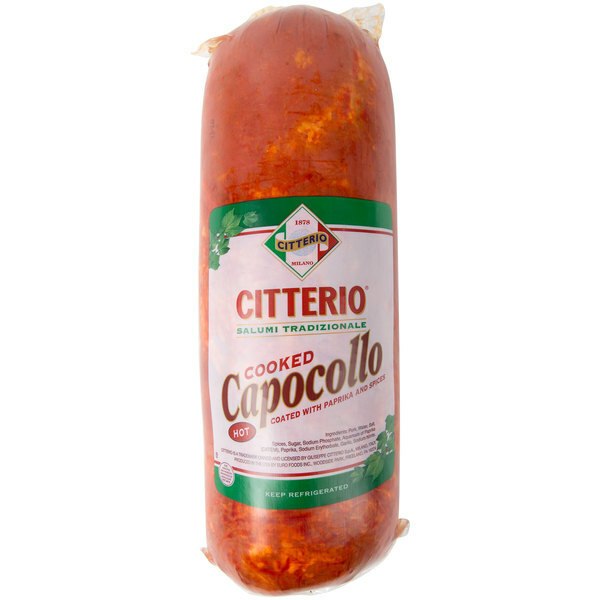 Add some spice to your menu selections with this Citterio cooked hot capocollo! 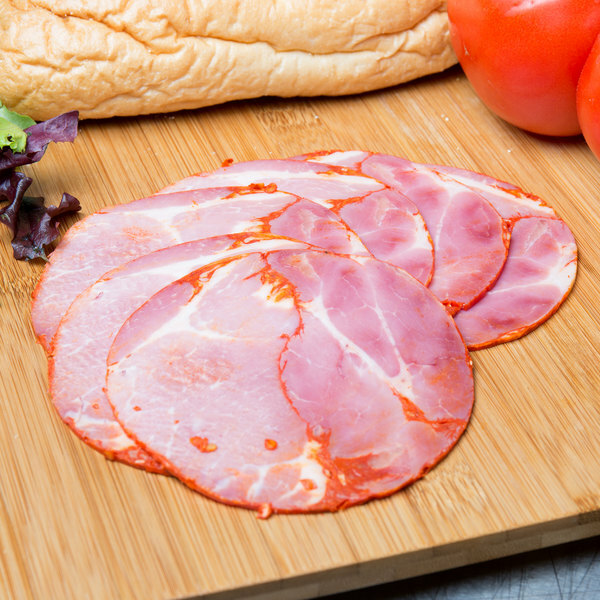 Known for its delicate flavor, tenderness, and rich texture, capocollo is traditionally sliced extremely thin and used in antipasto or Italian sandwiches. This traditional Italian and Corsican cut of pork is taken from the muscle between the neck and fourth rib of the pork's shoulder. 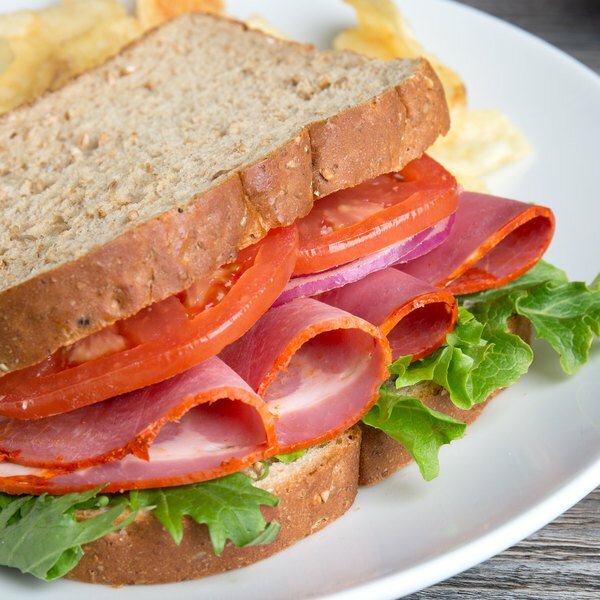 Covered with a special blend of spices and paprika, this hot capocollo also has a tasty spicy flavor as an added kick. Plus, it comes cooked for convenience, allowing you to slice and serve. Made from pork shoulder and neck, capocolla is often compared to and substituted for prosciutto. This piece is coated with paprika, garlic, and other fiery spices for a burst of flavor in every bite. Add it to a grilled panini or place it on pizzas as a signature topping! Guests will enjoy the savory meat and hot flavor as an accent along side your other fresh ingredients. The Citterio brand is known around the world as a synonym for professionalism, passion, innovation, and excellence. The family-owned company was founded in 1878 and continues to focus on producing quality products with classic, time-honored flavors to this day. Bringing the flavors and scents of tradition straight to your table, Citterio is a name you can trust for outstanding meats and cheeses.